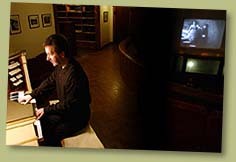 Christopher Peacock, resident pianist at Rosario Resort on Orcas Island, WA, has had consistent standing-room only crowds for his piano concerts since he began the performances over 33 years ago. The spirit of those performances has been captured in a series of remarkable albums available from Pure & Simple Music. "Peacock hits all the right notes"
"Peacock's a brilliant entertainer... Impressive fingerwork!" Peacock's musical career began as a percussionist in Madison, Wisconsin where he performed with the Madison Symphony Orchestra. 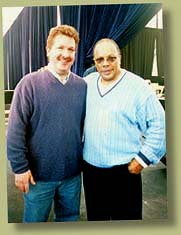 He was a finalist in the Milwaukee Symphony Young Artist Competition and later went on to study composition and performance in Los Angeles with William Kraft, percussionist and composer in residence with the Los Angeles Philharmonic. 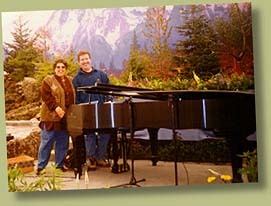 Since 1989, Peacock has been capturing the essence of the Rosario experience on the albums Island Time, Oceans, Suite Dreams, Destination, Island Life, Traveler, Painting Paradise: In the Garden, Love Letters, Origins, Seaglass, and on the Pianoforte series by Pure & Simple Music. 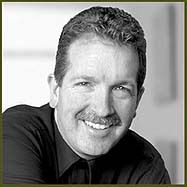 Narada Recording Artist Nancy Rumbel and the Grammy Award winning Seattle Symphony string section (including principal cellist Ray Davis) are featured in collaborations with Peacock on most of his albums. Recorded both in solo settings and in collaboration with guitarist Gene Nery and pianist Richard Palalay, Peacock's albums show the full breath of his talents with arrangements from solo piano to full orchestra, and in styles from classical to contemporary jazz. Pianoël Volumes 1 & 2, compilations of holiday music, feature Peacock along with Pure & Simple artists Nery, Palalay, Daub and Hemisphere. His popular Pianoforte series showcases solo piano performances of popular requests, including music from Broadway and Film.